The SEAT Leon Cupra in the hills near Montserrat. Barcelona may not be the first place you think of when it comes to cars, but the city is home to the giant Martorell plant, which for a long time has been producing SEAT cars. Since 1986, Seat have been majority owned by the Volkswagen group, although during our trip to the factory, the personnel there were anxious to point out that they had a proper research and development department, fully capable of designing a car from scratch and bringing it to production. 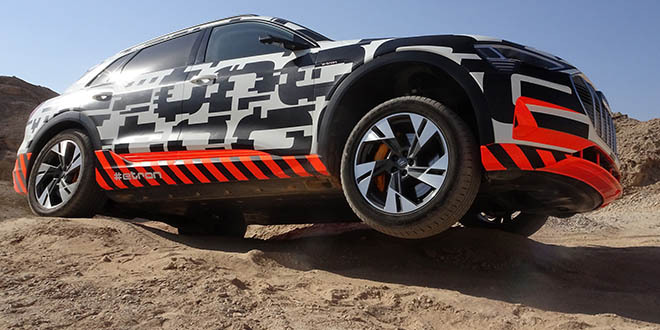 In fact, the Martorell plant develops entire cars, including the Audi Q5 and whole subsystems for other marques in the group and employ over 1,000 people. We visited the design centre and were met at the gate by a couple of guards who asked us for our phones. They proceeded to put stickers over our camera lenses so that we couldn’t take pictures. Sorry lads, I had a proper camera and a fully functional tablet in my pockets and you missed them. Unfortunately, we didn’t encounter any secret prototypes on our travels. The closest we came was a mock-up of a very handsome four door coupé in the foyer. Think of a more angular Passat CC and you’ve got it. I think it was the IBL concept which we saw at Frankfurt last year. We spent about an hour in the design centre, being briefed on the work there and then it was time to have a proper drive in the car we’d come to see. 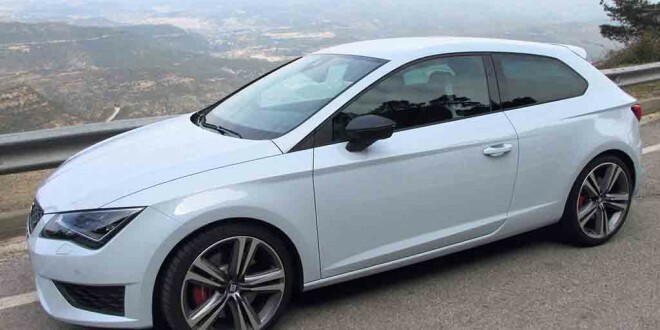 We had already driven from the airport in the Leon Cupra, but it was now time to take to the hills and have a serious cruise. The Cupra is the top-spec Leon and as befits its place in the range, it’s powered by a four cylinder 2.0 litre petrol engine, developing 280 bhp. There’s a slightly less potent 265 bhp FR trim also, but we had the full fat version. An interior view of the new Leon Cupra 280 from SEAT. I was impressed with the interior right from the start. It’s sporty without being over the top and you immediately feel at home in the cockpit. There’s a very comfortable seat, which proved to be extremely supportive in the mountains later. The Leon is based on the latest VW Group MQB chassis, which uses high strength, low weight steel to produce a car that’s around 100 kgs less than its predecessor and you can feel the benefits of the low weight immediately. 280 bhp is a lot of power to put through the front wheels and while it’s all too easy to overcome the traction under power, the electronics take control very smoothly and without fuss. All too soon, we found ourselves on a winding mountain road, heading for the hilltop monastery at Montserrat. I selected sport mode on the double clutch gearbox and gave it the full beans. The result was 20 kms of heaven as the car dealt with the twisting road with great aplomb. It turned in without any understeer and there was always plenty of power on tap to pull us out of the corner in great style. I really think this is one of the great front wheel drive chassis. All too soon, it was time to go back and we stopped at the restaurant where we had lunch to see if anyone was waiting for a go in the Cupra. Unfortunately, there was, so we reluctantly gave up the keys to our car and drove the FR back to the hotel. Even though it’s slightly down on power, the FR is still more than sprightly and I preferred the manual gearbox to the twin clutch in the Cupra. Not that there was anything wrong with it, it’s just a personal preference. I’d love to have spent a bit more time in the Cupra, but of necessity, it was a quick, first experience of the car. It will come to Ireland later this year and I can’t wait to try it on Irish soil.